Apart from all the designer wear, stylish and modern dresses some things still continue in a fashion as they are a culture. 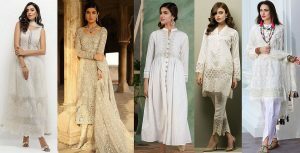 Where all other trends change, some trends are always in fashion, and in dressing trends, kurtis and shalwar Kameez is a trend that never fades. 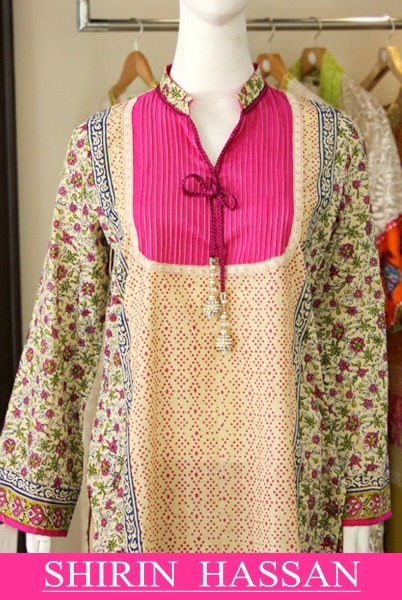 Continuing the discussion about this we will continue with the various styles and designs of kurtis. 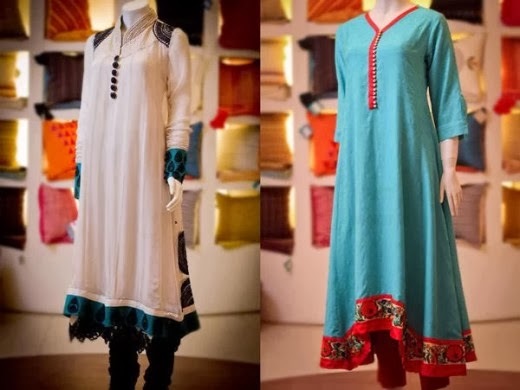 Kurtis are becoming a dress mark of Asian women, and there are various styles and pairing with it like trousers/ palazzo, pajamas, and shalwars, etc. 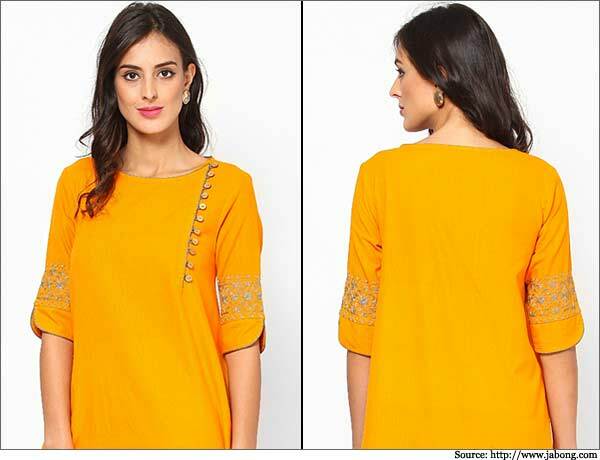 Here in this post we are going to discuss Neck-Line Design Kurtis. These kurtis is commonly decorated with different cuts, ribbons, embroideries, both hand and machine, colorful crystals, threads, beads. 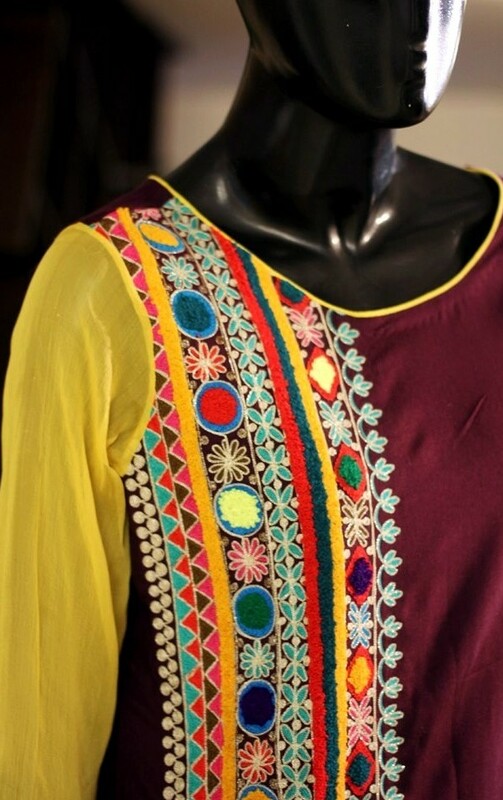 The latest collection of Indian and Pakistani neck line gala designs for kurtis is a beautiful catalog of fancy, plain, embroidered and non-embroidered, V-shaped, round necks, rectangular cut necks, ban, collar, button, angrakha, A-line and straight, bordered and non-bordered all styles in kurtis in different lengths and sizes. The Choice of style of kurti should be decided carefully, keeping in view your figure and body shape, as well as age,, so it can look elegant and stylish whatever style you carry. Mostly v-line is best suited to women of all age. 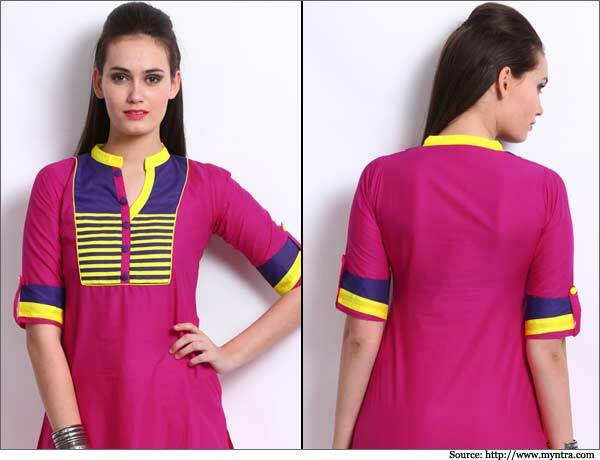 Have a brief look on different styles of kurtis. Today we are discussing the Pakistani & Indian Best and Stylish Neck line Gala Designs Collection 2017-2018 for Girls which consists of very elegant and trendy neck patterns and styles with embroideries, laces, crystals, pearls and many more. They also contain fine thread work, glass work, kashmiri karhai and adornments. Mostly Kurtis are designed according to the order and taste of the customer, age, physic, and the occasion to wear on, formal, casual, house wear whatever. As per Indian wear mostly v-shaped necklines are worn in both formal and casual events, others are also used but ratio of v-line is greater; and when trend turns to Asia especially Pakistan, ban, round and collar are worn mostly. 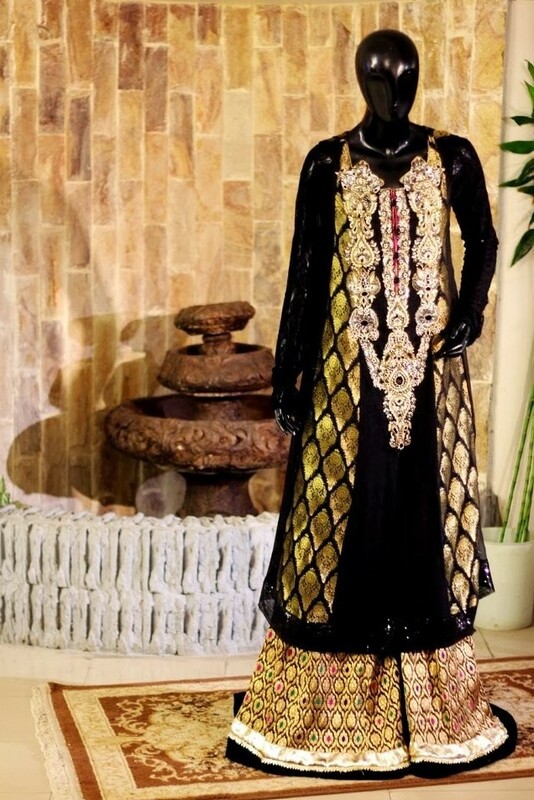 In both trends, the dress is embellished by stone, cutwork, embroidery, thread work, jamawar patches, applique, ribbons, laces and other motives available in a market for the decoration of dresses. 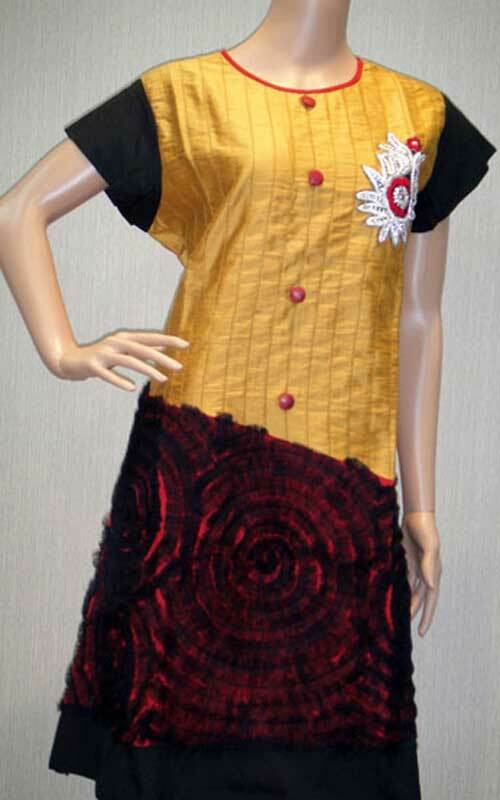 Kurtis are also fitted according to body shape, as collared, hooked, zipped or high neckline banns, etc. But whatever the style is, it depends on it how nicely and appropriately it is carried and designed. 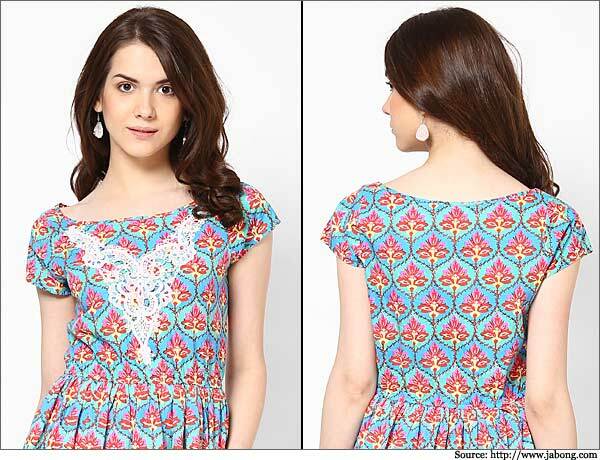 Necklines are designed on frocks and Maxis more than the straight plain kurtis. Asymmetric kurtas and dresses with applique work and hand embroidery are a new trend in both cultures, Zari work, net applique work, cora work, beads, diamontis, hand and machine embroidery in necklines has a good fame and is a thing that suits everyone, of any body shape and age; contrary to the other designs of dresses and it always in fashion. Designers have solved all the problems of dress selection with respect to the body shapes, zipped for thin ladies, shoulder style for wide shoulder women and so on for all shapes. Dresses can be decorated as per own consent of the person, either buy motives that are easily and abundantly available in market in a very good and wide variety, or can order embroidery of her choice or whatever she wants to wear is easily approachable. 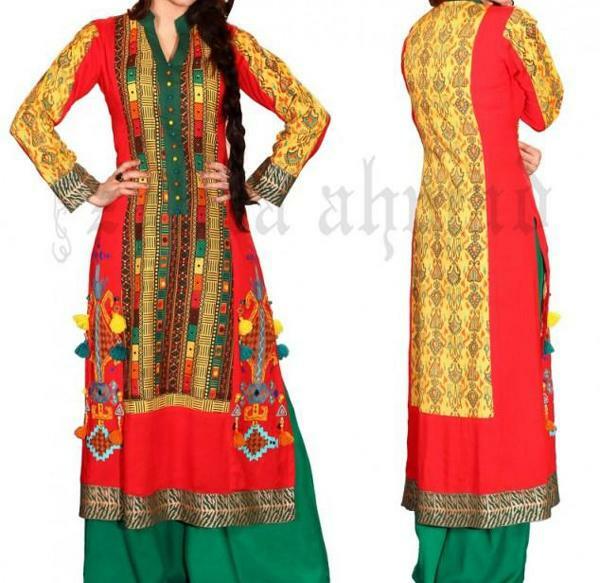 When we talk about Indian trends, they usually wear comparatively heavy work than Pakistan, more embroidery, more colors. 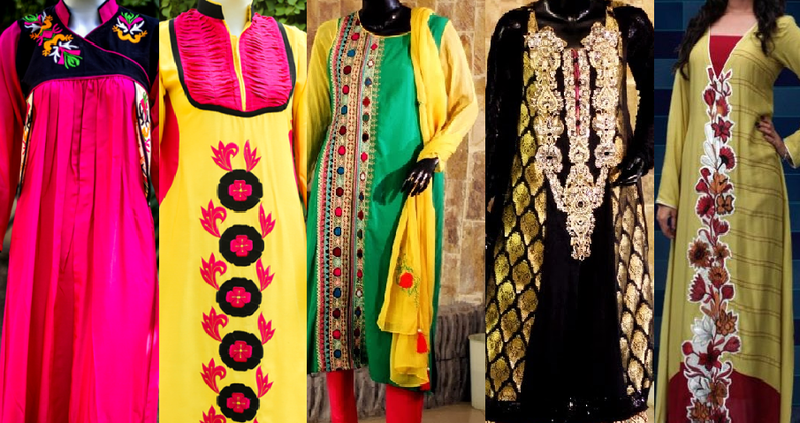 Those women use these dresses to wear in daily normal and casual life as well as in different occasions like Holi, Divali, Rangoli, rakhi, dashehra, and pujas etc. with more bright and heavy work of beads and motives rather than using embroidery. They look so appealing and attracting that every girl must get it preferred. In casual clothing we use light embroidery, light decoration with light articles of decoration, like threads, aplics of velvet, net, etc. but when it comes to formal, it becomes brighter, heavy , and articles vary diamontis,tilla,cora ,dabka, etc. are considered traditionally formal articles for formal adoration of party wear dresses. 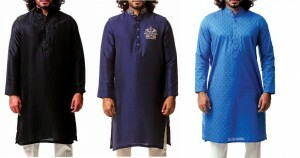 kurtas, salwar kameez, etc. is something that is always in trend in all ages, eras, and seasons. Designers have made the sense of dressing very mature and decent in society, so here are some pictures of the dresses discussed above.